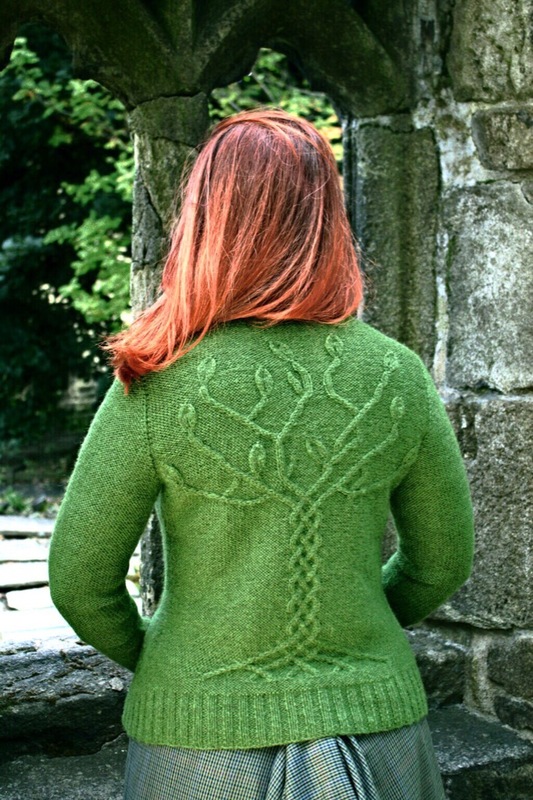 It started with the idea that a cardigan with a tree on the back would be a great thing to wear, at one and the same time evocative of tree of life symbolism and Celtic spirituality. It was an idea that enchanted me, so I thought it would likely enchant others too. There was a problem though; to realise the idea in an actual cardigan I would have to work out how to create a tree in knitted fabric, and as this was for a book about cable knitting, it would have to be done using cable techniques. I blogged about the process here.